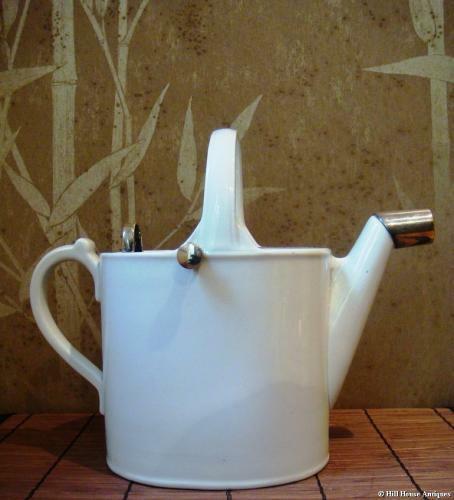 Stylish and unusual ceramic watering can with silver plated mounts, by Hukin & Heath to a Dr Christopher Dresser design. Both metalwork and ceramic stamped with the Hukin & Heath marks. Dr Dresser supplied a number of designs to H&H; and the all silver plated version of this was also made by Hukin & Heath.